A Sip and See is a lovely way to show off your newest addition to family and close friends. The event can be held in your own home for comfort, and the decor should be simple and easy - after all, new parents are sure to be quite busy! 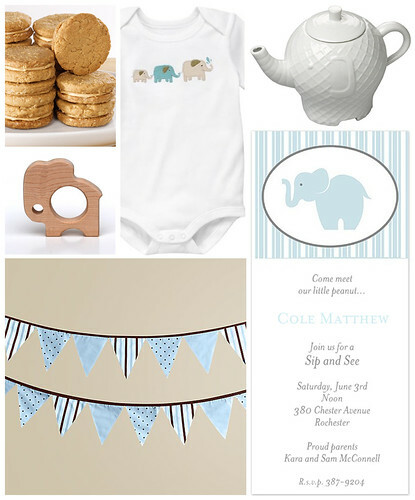 For an event that is big on style, consider an elephant theme when introducing your little peanut.